If its gamble of modular accessories pays off, Moto Z could become a trendsetter. Motorola has always had this knack of coming up with devices that set the trend. 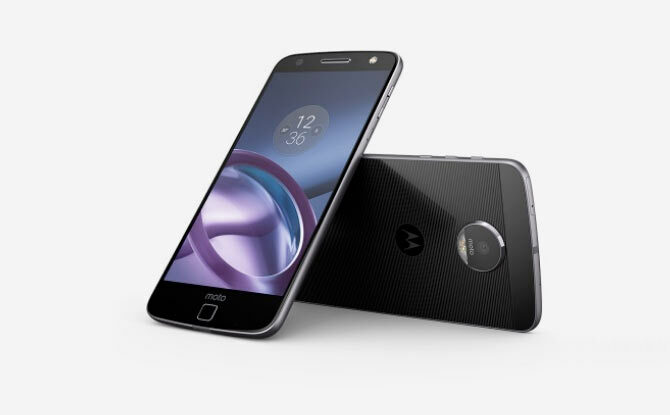 Whether it was the Moto Ming, the Moto Razr or its comeback launch, the Moto E, the models have impressed users. With the Moto Z, it takes a step forward with the introduction of modular phones. Simply put, the phone comes with a detachable camera that can be placed on the back panel. But, does it have what it takes to carve a space out for itself. The Moto Z is a thin slab of glass and metal. The front consists of a 5.5-inch screen, coupled with a front camera and square-shaped fingerprint sensor. When looking at it for the first time, one might confuse the sensor for the home button, but it’s not. It is just a sensor and nothing else. However, the phone has not been advertised as being resistant to water or dust, which is pretty much expected from phones in this price range. the mods are magnetised so that the two parts click into place and stay in contact. The phone has a 12-megapixel (MP) rear and 5MP front camera. Once the mods are in place, you can access the external camera that comes with the device using the camera icon in the phone itself. It instantly brings to mind the Hasselblad True Zoom. The experience is undoubtedly good. It is a great smartphone camera, and on comparing the mod with the in-built camera, the difference is stark. The details are much sharper, colours more vibrant and in-depth shots better. But will you pay an additional Rs 19,999 for it? It is a gamble, which if pulled off can establish Moto’s legacy for years to come. The phone runs on a quad-core 1.8GHz Qualcomm Snapdragon 820 processor with integrated Adreno 530 graphics. It has 4GB of RAM and 64GB of storage, which is expandable. It has a 2600mAh battery and Motorola promises up to seven hours of power with just 15 minutes of charging. In terms of software, the biggest hack is the Active Display feature, which one can see in previous Motorola phones. When the phone is in standby and you wave your hand over the front or pull it out of a pocket, a low-power monochrome display shows the time and icons denoting the notifications you’ve missed. The Moto Z costs Rs 39,999 including the MotoMods. Should you buy the Moto Z for Rs 40k?